The biggest group representing London’s black-cab drivers has demanded fares rise by about 15% during the Olympics. The Licensed Taxi Drivers Association (LTDA) wants the premium evening rate to be charged in the daytime during the Olympics and Paralympics. Transport for London (TfL) has until February to make a decision on the proposal. John Mason, TfL director of taxi and private hire, said the consultation was continuing. He defended the demand, saying: “Because of the widespread chaos that’s been predicted during the Olympic period with regard to road closures and other disruption, 40% of our members are currently saying that’s when they’re going to take their summer break. Mr Mason said: “At the LTDA’s request, the proposal has been included in the annual public taxi fare consultation. METERS are set to be displayed in Fenland’s taxis from April next year after councillors today approved a new policy. Fenland District Council’s licensing committee ratified a revised Hackney Carriage and Private Hire policy during its meeting at Fenland Hall. The revised policy was drawn up following a 12-week consultation with taxi firms and drivers, which closed on Monday last week. It will now be sent to Cabinet for final approval with a motion that, if it’s agreed, it should come into force on April 1 next year. 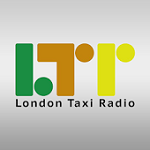 The draft policy included in a report to councillors said: “All Hackney Carriage vehicles licensed or to be licensed shall have a taximeter fitted. The meter “shall be placed in a safe position and so far as possible so that all letters and figures on the face thereof shall be at all times plainly visible to any persons being conveyed in the carriage. Licensing officers or police officers will be able to inspect the meter “at all reasonable times” and if they are not satisfied with its accuracy the vehicle license could be suspended until is returned to a satisfactory state. The decision has, however, left many taxi drivers fearing that people will not use taxis because they will be too expensive. Fenland councillor Dave Patrick, who is also chairman of the Wisbech and District Hackney Carriage Drivers Association, said: “I believe the implementation of meters will cause severe damage to the trade because people will not know what they are going to pay for their trip. He also said that some drivers may turn down jobs because the cost of travelling to collection points and from drop-off points. “For example, if someone calls a Wisbech firm wanting to travel from Upwell to Outwell a driver won’t travel all that way to earn what could be the minimum rate,” he said. “It will cost more to fuel your car.” (Drivers must charge £3.31 for the first 1.4 miles of a journey). Cllr Patrick said the association is considering petitioning the public about the council’s decision. A decision on whether to petition will be taken within the next 24 hours. Taxi fares in Carlisle are likely to go up next month. Fares are set by the city council. They last increased in October 2010. Councillors are being recommended to implement an increase of just under four per cent, slightly less than inflation, when the regulatory panel meets on Wednesday. The cost of a two-mile journey would rise from £5.10 to £5.30. A 10-mile trip, such as Longtown to Carlisle, would increase from £21.10 to £21.90. Carlisle’s taxi fares are already the second highest in Cumbria. The £5.10 fare for two miles compares with £4.60 in Barrow and Copeland, £4.85 in Allerdale and £5 in South Lakeland. Only Eden, at £5.50, charges more. The city council recently canvassed the opinions of taxi drivers. A total of 137 – 73 per cent of those responding – wanted fares to rise. A report from licensing manager Jim Messenger says that taxi operators are facing sharply-increased costs. Fuel and oil is up 14 per cent over 12 months and insurance up by 20 per cent. Overall, taxi costs have risen by 5.93 per cent in a year compared with the 5 per cent increase in the Government’s retail price index. Carlisle taxi fares have two elements. There is a fixed-rate flagfall that applies to the first 0.7 miles of a journey. This would rise from £2.50 to £2.70. Beyond 0.7 miles, fares climb by 20p for each 176 yards travelled. The proposal is to reduce this to 170 yards. If councillors agree, the new fares will apply from October 6, provided there are no objections by September 30. Any objections would be considered by the regulatory panel on October 19 and any increase would then apply from October 24. Day rates for taxi fares in Reading will rise by an average of nearly five per cent after Town Hall licensing bosses gave the green light for cabbies to increase the cost of journeys in the town. A licensing applications sub-committee at Reading Borough Council gave approval to recommend the change following a proposal by Reading Taxi Association (RTA) and Reading Cab Drivers’ Association (RCDA). Members of the committee agreed to an average increase of 4.68 per cent on daytime fares and reduction of one second in waiting time when a vehicle is at traffic lights or stuck in congestion before the meter ticks over. The application maintained there would be no change to the £2.20 minimum charge before the taxi moves off or night rates, resulting in an overall average fare increase of 2.34 per cent. Meters would tick over every 146 yards up to two miles and 142 yards after that distance instead of 160 yards and 152 yards respectively. RTA and RCDA also put forward their preferred option of increasing day fares by 6.74 per cent which was rejected by the committee at Reading’s Civic Centre last Tuesday afternoon. 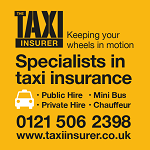 Taxi drivers claimed fully comprehensive insurance policies had risen by up to 40 per cent and huge fuel increases had forced them to apply to put up fares for the first time since September 2008. Asif Rachid, chairman of RTA, said: “We have been putting off fare increases for a number of years now primarily because of the climate. Tom Kirrabe, a taxi driver of 17 years, told the committee the number of taxis in the rank at Reading station had increased by 40 per cent in three years and members of the committee said that the cabbie’s proposals may discourage people from using taxis. Councillor Jeanette Skeates said: “I do have some sympathy with you in that you haven’t put up fares. The committee recommended the council’s head of environment approve the increase subject to no objections being received. Should no objections be raised the new fares will come into force at the beginning of October. ELDERLY and vulnerable people will not be badly affected by taxis hiking their prices in Rochford district, according to the man who proposed the changes. Peter Richmond, director of Hockley-based Alpine Taxis, believes the decision to charge an extra 20p for a two-mile trip, rising to an extra £1.20 for five miles, is fair. The changes came in last month after prolonged pressure on Rochford Council from taxi drivers keen to offset the rising cost of fuel. Mr Richmond said: “The key point is it will not affect short journeys, so people who use taxis for that purpose will not notice it. A five-mile trip starting in Rochford district used to cost £10, but now costs £11.20, putting the authority’s taxi drivers on a par with those in Southend. Previously, people travelling from Rochford district to Southend only had to pay more for their return journey, even if it was exactly the same distance. However, prices in Castle Point and Basildon remain lower at £10.80 and £10 respectively. Taxi drivers pushed for the changes in Rochford after turning down a chance to increase fares in October last year. The last time prices were increased was in 2008. 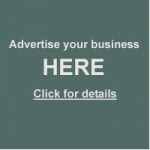 Mr Richmond said: “Prices needed to go up because of the growing costs of running a taxi. “I don’t think many people realise how taxi meters work. They just expect to pay a certain amount for a certain distance. Keith Hudson, the Tory councillor responsible for taxis at Rochford Council, agreed the hikes were necessary. CABBIES have called on the council to review maximum fares as soaring petrol prices threaten to drive them out of business. Petrol in Mole Valley now costs around £1.34 per litre, with diesel up to £1.39. Prices in the district have risen by a monthly average of 4p a litre so far this year and taxi drivers say their profits are being squeezed with each penny added. Shaun Ford, 44, a self-employed taxi driver in Dorking, said Mole Valley District Council (MVDC) imposes maximum fares and has not reviewed these for almost three years. He said: “It’s a major problem because we can’t charge more to cover ourselves. “It’s really quite bad at the moment. Business is quiet anyway but instead of putting £20 in the car I now have to put near enough £40 in for the same amount of trips. Mole Valley taxis can charge £3.90 for the first mile of a daytime fare and no more than £1.90 for every mile after that, in accordance with council rules set in September 2008. Another self-employed taxi driver, Peter Naish, 43, said: “Some taxi drivers would really like the council to increase the maximum they can charge. Speaking on Tuesday, MVDC licensing officer Pam Whiting told the Advertiser fares could soon be allowed to increase. She said: “A change to the tariffs taxi drivers are allowed to charge is going through at the moment but we have had someone that has objected to our plans so it is taking longer than we expected. New taxi charges in Chippenham have driven a group of rebel drivers to set up their own company to undercut their rivals, sparking a bitter rivalry. Wiltshire Council upped the maximum meter charges last month to help combat rising fuel and running costs, leading to many fares almost doubling. A breakaway group of drivers, led by Martin D’Agostino, has now set up its own company, DCM, offering huge discounts and angering their competitors. But more established taxi firms in the town say the company will not last. Eight drivers, six of whom were Abbey Taxis employees, left to join DCM. Mr D’Agostino, 51, of Kingsley Road, who has been driving a taxi for 25 years, thinks his new firm can survive. He said: “Everyone has lost a lot of trade since the prices went up, especially in the early hours of the morning. “People are choosing to walk rather than get a cab. “Loads of members of the public have been complaining about the prices but our drivers are prepared to take the hit by offering big discounts in the week. The council controls the maximum price a taxi company can charge, which is shown on the meters in the front of the cab. Drivers and operators can choose to offer discounts on those prices as they see fit. 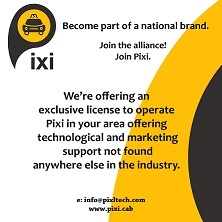 The charges were put up on February 14 after a consultation with companies and were upheld by the licensing committee after objections from four drivers. Some evening fares have nearly doubled in price, the price of a journey from Chippenham to Devizes has risen from just over £25 to nearly £50, said Mr D’Agostino. Taxi drivers across Shropshire have reacted angrily to new blanket fares which have been welcomed by councillors – in a development billed as the first battle of a long war. 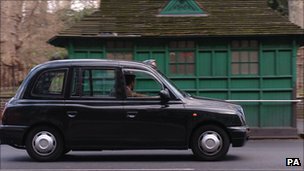 Moves to bring in a unified fare structure and overhaul licenses of all Hackney carriages in Shropshire were backed by the council’s strategic licensing committee yesterday and will come into force if backed by Shropshire council’s cabinet next month. But the steps to bring about a “common set of conditions” have been met with fierce opposition from cab drivers who claim the zones need to remain to protect the unique conditions of each area. Under the proposals, five operating areas based on the former borough and district councils would be abolished in favour of one zone. The new fee card will be introduced on March 5 – providing no representations are made to the committee in the next 14 days. TAXI chiefs have called for a rise in fares to help keep the struggling trade on the road. They say they have been hammered by the recession and big rises in costs and have no choice but to pass some of this on to passengers. 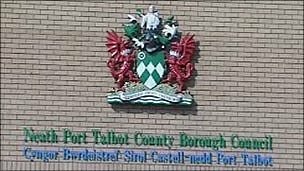 A formal request for an increase in tariffs has now gone in to Neath Port Talbot Council. Neath Port Talbot Taxi Proprietors Association secretary Bob Hoyles said: “The trade is really struggling. “People are not spending so much on taxis because of the recession, so drivers are having to work longer hours to sustain a living. Mr Hoyles pointed out that fuel had reached an all-time high at £1.34 a litre, while insurance costs were increasing year on year and tyre prices had almost doubled since 2008. He said the trade was also having to cope with a 2.5 per cent rise in VAT, licensing fees were going up every year and maintenance costs including MoT tests, were also escalating. “I’ve just had phone calls from two drivers who own their own cars but cannot afford to keep them,” added Mr Hoyles. Trade leaders have already asked the council not to issue any more licences, arguing there are too many cabs on the road. 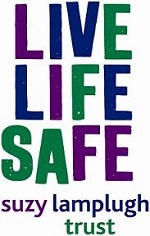 But before the council can do this, a survey must be carried out to show if there is any unmet demand. Because of its budget situation, the authority will not decide whether to pay for a survey until later this year. Council licensing officer Jim Sullivan confirmed taxi fares had not increased since August 2008. “Now that we have received the request we will assess it and get some costings done,” said Mr Sullivan.